This is the trailer of the upcoming cinematic map, 'Deception'. This map will be divided into 2 parts, with a introduction. First release will have a Introduction and first half. Second release will have second half and the Ending. This is map is based on the story on-project by BF_Juilingstar. The whole story will be given in ending, and posted in alpha writings blog. Sounds Nice. Im gonna download it (as first one) and then perhaps review it. Sorry, but i didn´t like this. The Triggers are very poor, and it looks like this hasnt even been playtested. Sorry, but i don´t recommend to download this. Also, there should be music in there, but i think you forgot to put that into the zip file. I give you a small tipp, download some scenarios with a high rating of 4 or 5. That might help you a bit. Good luck with the campaign. 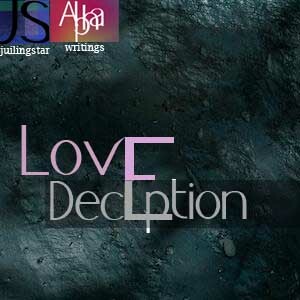 JS Deception is a short cutscene trailer for a lovestory campaign, wich i think needed 10 minutes to be created. To the Author: Please don´t take this review as an offence, its there for you to see your mistakes in it and learn to make better, cutscenes, scenarios, etc. In Closing: A very boring and cutscene if you download it you waste your time. I have corrected the music. I respect your dislike, but this map looks naked without music. Please try seeing it with music again. Hehe, and why is it a RAR file? And where do i have to place it? If i rename it with mp3 then i cannot play it. I have Posted a review too, it´ll show up soon, but when you told me what to do with the music, then i might edit it. Re-updated the file, with music straight. As soon as the review shows up i will edit it a bit, it looks better with the music. Its really good so i will put it on my I Pod :) Whats the real name of it? Well that's a music from Heros of Might and Magic 6 Trailer. I am excluding this stuff. I am deep flowed in triggers. This Trailer is just a bit of joke now. Never mind, I will upload the 'good' part 1 in half a month or so..l.
What's the main idea of this trailer,sathcooperation?